Pioneers in the industry, we offer women patients' gown, apron and women house keeping apron from India. We are one of the well-known manufacturers, suppliers, and wholesalers of Women Patients' Gown. The offered patient gown is specially designed for the patients and ailing people in hospitals. 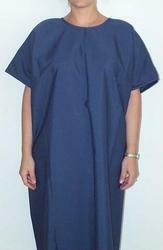 Our supplied patient gown is made from very soft and smooth fabric, to provide flexibility and comfort. The wholesaled patient gown is easy to wash and clean using raw water and detergent. Apron offered comprise quality finished apron choices made available in different finish sizes. Women House Keeping Apron is specially designed for the housekeeping staff in hotels, restaurants, and offices. 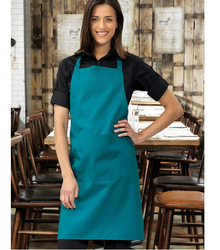 Our supplied house, keeping apron is made from very soft and skin friendly fabric, to ensure comfort to the wearer. The wholesaled housekeeping apron is available at very cost effective market rates.